A freezing rain warning has been issued for Toronto and much of the GTA. 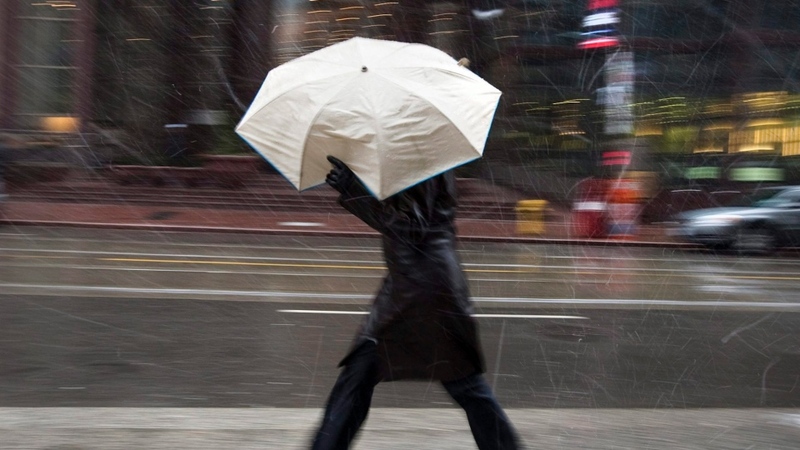 Environment Canada included Caledon, Vaughan, Richmond Hill, Markham, Newmarket, and Georgina, along with Toronto in the weather advisory issued on Monday. “Persons in or near these area should be on the lookout for adverse weather conditions and take necessary safety precautions,” the weather agency said. Light snow and ice pellets were expected to roll through on Monday afternoon causing slippery conditions, Environment Canada said. Precipitation was expected to move through the area in the early evening with a few hours of freezing rain and then rain into the later evening. While freezing rain amounts were expected to be relatively light, Environment Canada advised untreated surfaces might become slippery due to ice. Meanwhile, Pickering, Oshawa, and southern Durham Region were under a special weather statement. Environment Canada said a “weak band” of light snow may be mixed with ice pellets midday into the afternoon. “A more significant area of precipitation is expected to move into the area early this evening. A brief period of freezing rain is possible in the evening before precipitation changes to rain, especially for areas away from Lake Ontario,” the weather agency continued.